In one of my earlier post’ Getting Started With HP-UFT/QTP ‘, we discussed about record and playback feature in UFT. Now, we will know what happens behind ? This is important because, we will learn about a storage ‘term’ which forms the basis of many features, that UFT has in its bag. Lets start. Do you know, what is recording (in general) ? how our speech, music gets stored and we play it back ? wo.wo.. hold on . don’t worry! we are not going to know the physics and math behind it. Its simple, the sound waves are stored in a diaphragm and replayed. Now, why are we bothered about this recording, because, its quite similar to what is happening in UFT. What Happens during recording in UFT/QTP ? Tries to identify the properties of each objects Uniquely. Captures the properties and stores them. Not sure about what these terms are, refer here about objects. The tool learns about the objects and their properties related in orderly manner during recording and it stores them to allow the user ‘Playback’ option. It is used to verify, If UFT supports the technology in which the application is built. Create sample tests covering basic functionality. In addition to the object properties, Keyboard and Mouse actions can also be recorded. Now that we know that UFT analyses the properties, identifies and stores them, where do you think it saves the properties ? yes your guess is correct. It stores in something like a memory or storage area. 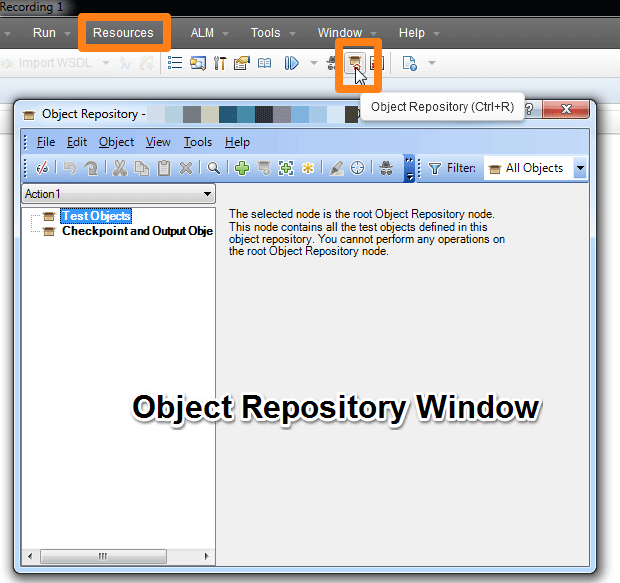 That is known as ‘Repository’ and as it stores object properties its called as ‘Object Repository‘. The path is Resources>>> Object repository. You can Teach UFT to know about your objects and its Properties. This is done by an option called as ‘Add Objects to local’ in Object repository. The order would be first the parent properties and then the child properties. 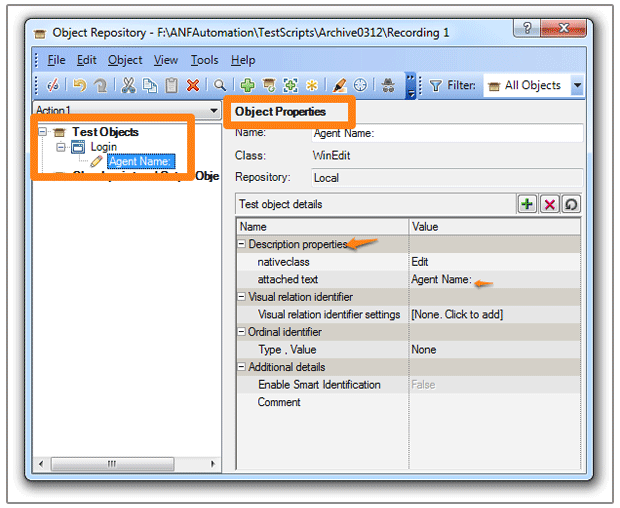 In the below image, you can see how the properties are stored in OR (object repository) for one of the sample application. For easy understanding, there is only one object that is being added to OR. The same properties get listed even while recording. But the best practice is to add objects to repository. This is all about what happens in UFT while recording. 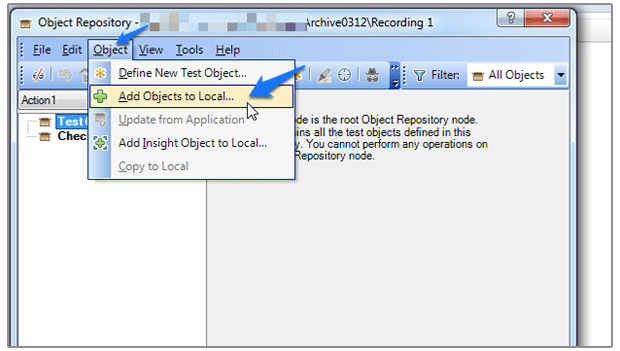 In the next posts, we will discuss about the object repository in detail. What are Software Testing Trends – 2015 – what’s Hot!